Niche Media and Modern Luxury Media (MLM) are—once again—discussing a merger. According to The New York Post, while both companies have had informal talks in the past, this time it could turn serious. 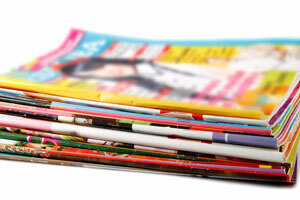 Niche and MLM publish free, regional magazines that are supported almost entirely by ads. Niche’s more popular magazines include Gotham, Hamptons, Ocean Drive and Los Angeles Confidential. MLM’s well-known titles include CS, San Francisco, Angeleno and Beach. Why are we supposed to take merger talks seriously this time around? Who knows! No reason is given, so it’s highly likely that there’s nothing to the rumor. “The companies have always kept in touch, but there is nothing going on,” added MLM CEO Michael Dickey.